I wanted to discuss a topic I have mentioned multiple times in other posts, but never really addressed head on. This is the distinction between the two flavors of traffic control operation in North America typically known as Centralized Traffic Control (CTC) or Traffic Control System (TCS). 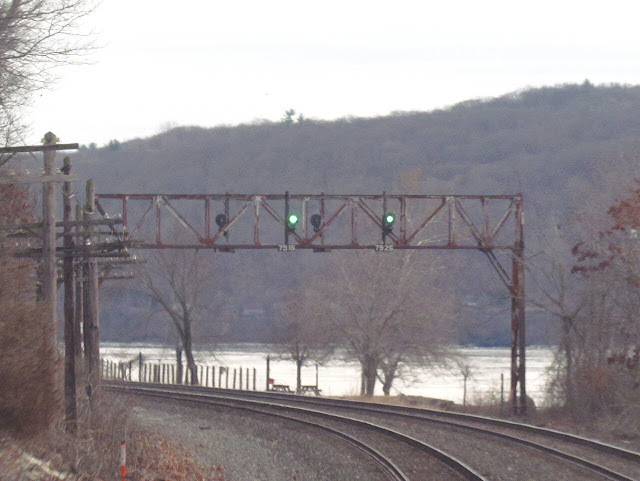 In one flavor, each segment of track has a permanent traffic state that is in one direction or the other with signals against the flow of traffic all dropped to their most restrictive indication (usually Stop and Proceed / Restricted Proceed). In the other flavor, if no route is set from an adjacent interlocking, the traffic direction "floats" to an undefined state where block signals in both direction display a signal based solely on block occupancy. This leads to signals displaying favorable indications in both direction at the same time, similar to non-traffic controlled bi-directional ABS lines. 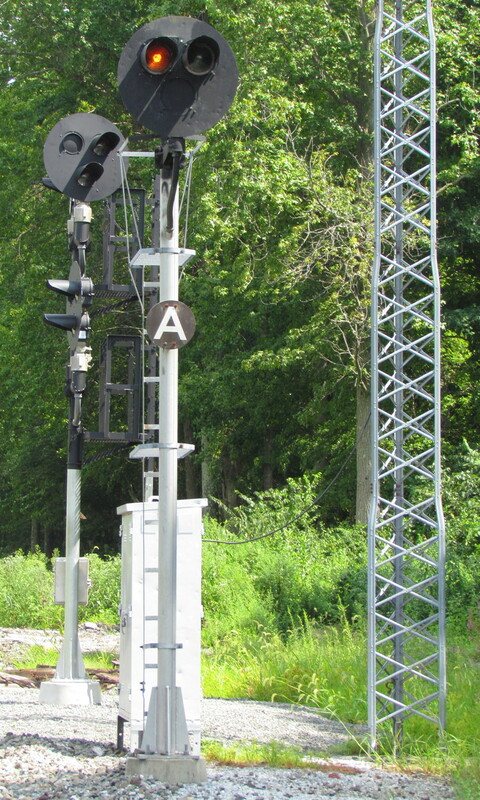 The first method is most commonly associated with the Union Switch and Signal company, which implemented "traffic levers" on its Left-Right interlocking frame and unit lever interfaces. 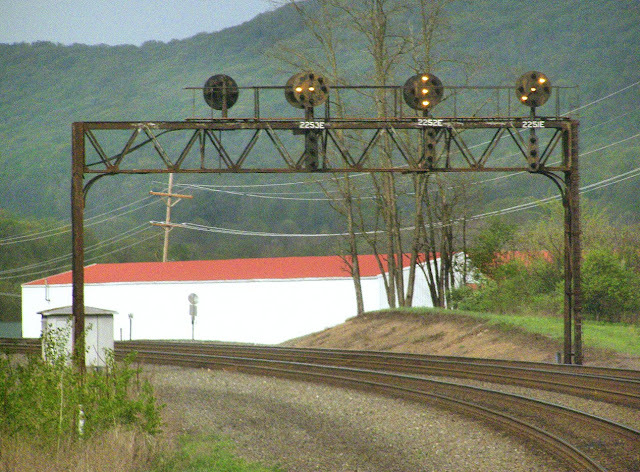 The second is most often associated with General Railway Signal, who tended to use its N-X style interface where displaying a signal would automatically set traffic between there and the next interlocking. However, in modern times these corporate distinctions are not always clear and I have seen exceptions to the "floating" style within a single track segment! Hudson Line Intermediate 79 like to float. While adjacent signal 81 does not! The "traffic lever" system is perhaps the easiest logically to implement. Some sort of constant state is transmitted between interlockings and each intermediate (perhaps a + or - voltage on a wire) and a relay at each signal location senses the direction of traffic. The floating system requires a reliable way to hold the signal state until the train passed and the route is released and then allow opposing signals to clear. 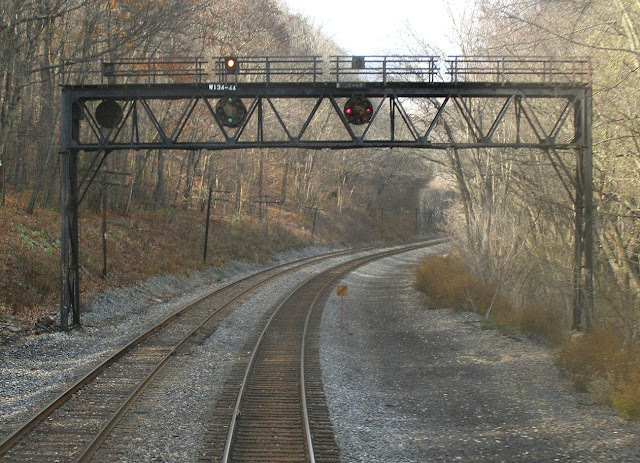 The payoff for this complexity is that while under a traffic lever system the track segment must be completely clear before the direction can be reversed, the float system can handle reverse movements line a train in a non-interlocked siding as soon as the first train passes. This also reduces problems from track circuit failures that can can cause a "traffic lever" to become locked until the failure is repaired. In the above video you can see the floating system in action where the far signal immediately upgrades from Stop and Proceed to Advance Approach. In the absence of any signal at the next interlocking, both signals would flash Advance Approach. Determining which system is in use on a particular line can be tricky. If you see any of the above behavior with reverse signals automatically clearing or opposing signals in CTC territory both showing favorable indications, then the float system is in effect. However the absence of said behavior does not indicate the use of traffic lever as the preceding controlled signal could be fleeted for following movements. 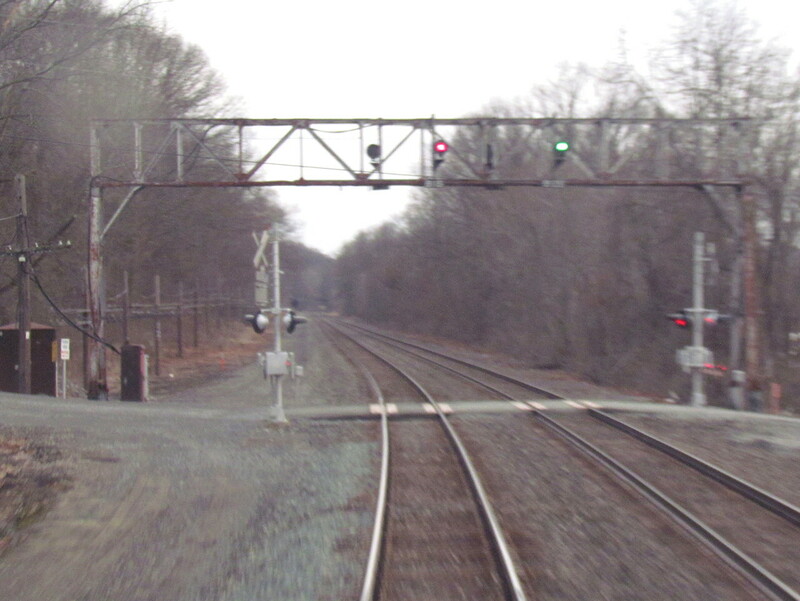 However, given sufficient observations, if one never sees signals automatically upgrading behind a train, it is likely that traffic lever logic applies. If your opposing signal never clears, you might be in traffic lever country. I will update this space if/when I learn how these systems are technically implemented and if I can confirm if traffic lever is still associated with US&S and float with GRS. If anyone has this information, please leave a comment. Raising a Toast in DC's Last Towers? I recently came upon some information regarding the possible fates of Washington DC's two remaining interlocking towers. These are the still active K Tower, at Amtrak's Union Station, and the former PRR VIRGINIA tower at the junction of the passenger route through Union Station and the Landover freight bypass. Both locations have been the subject of recent development efforts and preservation of both towers have actually been addressed in the planning. 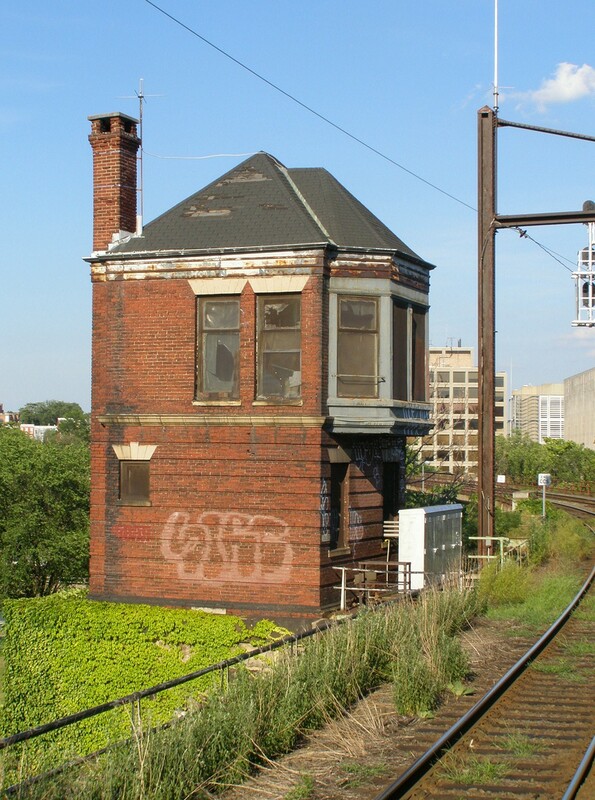 When CSX started its Virginia Ave Tunnel clearance project in 2015, part of the agreement with the city was that VIRGINIA tower was to not only be left in place, but also cleaned up and stabilized. That means roof and window repair along with some sort of move towards adaptive reuse. It was reported that some of the ideas include a bar, museum or even a boutique micro hotel. So called "security concerns" might derail some or all of these plans, but given the size of the building I would say that a museum might be the most likely option. 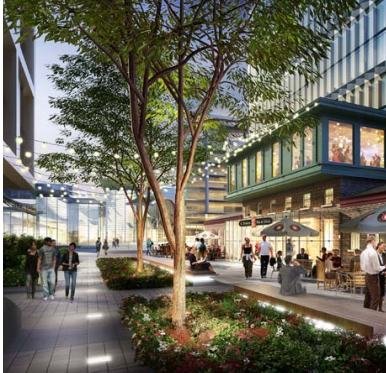 The same article also links to Amtrak's Union Station Master Plan that portends a similar far for the iconic K Tower, which would be covered over by some sort of terminal roof desk that would support an urban redevelopment project. The active tower itself would be moved into some sort of office, while the physical building would be moved around and turned into a cafe or bar. 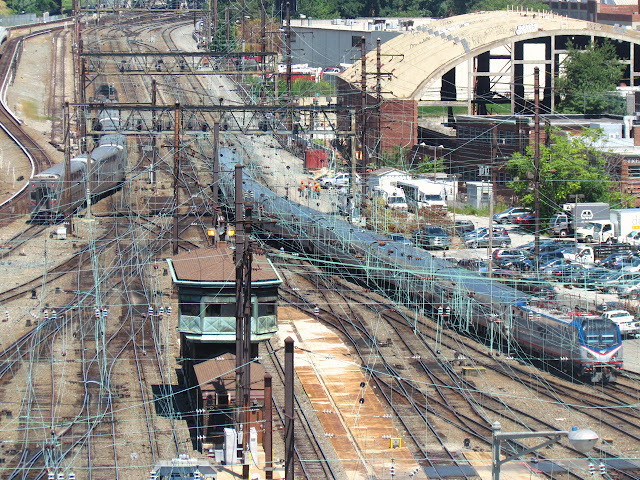 While the Union Station plan seems a bit more certain about the bar idea, cities reaching "peak millennial" or a Trump induced economic collapse could put the development on hold (at least for a time, like with the West Side Rail yard redevelopment). Needless to say I am unenthusiastic about any project that would turn an active tower into a stuffed animal head on the wall. As tempting as selling air rights are, having trains scamper into underground rabbit dens are never a good way to enter a great city. Development comes in waves and both DC and NYC have been cresting for some time now. Hopefully the cycle will turn around and travelers on the NEC will be treated to K Towers cheery copper facade for decades to some. Things have been pretty quiet as of late, but I did manage to tease out a few news items of note over the holiday season. 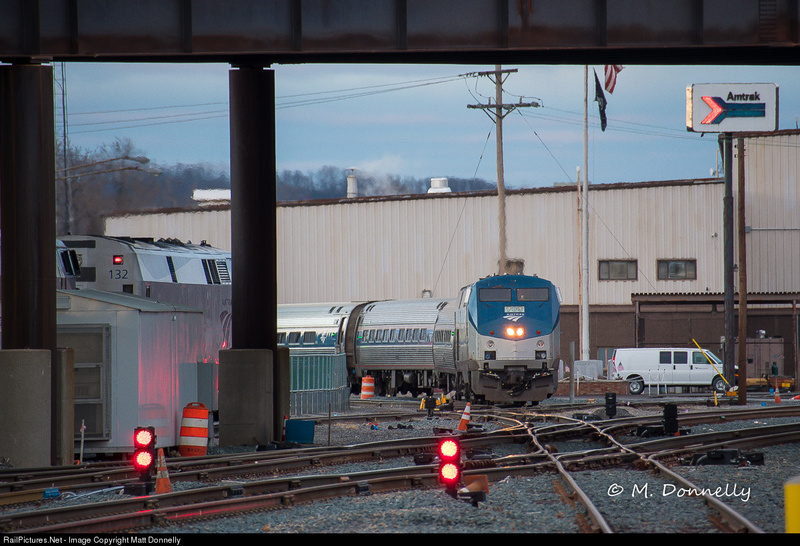 Starting off with Amtrak, it appears that the new CP-143 at Albany-Rensselaer had been cut over with LED searchlights replacing the classic ones and new double slip switches reducing the bottlenecks that would frequently occur when Empire trains mixed it up with late running long distance trains requiring a power change. 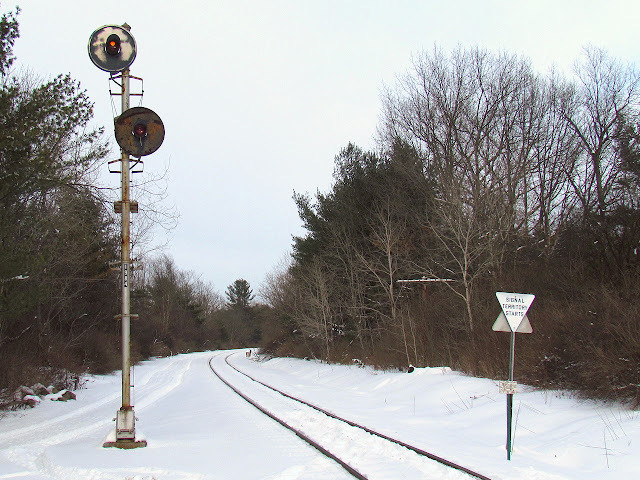 With the new second track nearing completion between Albany and Schenectady, my trip to the area in February will hopefully not be too late. 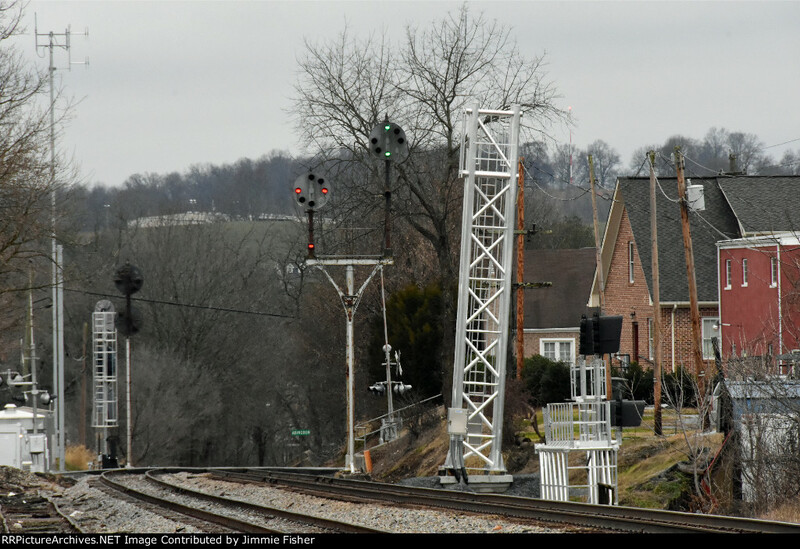 Is a shocking turn of events, NS has stepped up its assault on the former N&W H-Line in Virginia with new signals appearing at the famous Shepherdstown, WV location as well as others. This is truly disappointing because the line was last re-signaled ~2000 with new logic cut into the old signal hardware, as was the style at the time. This is definitely a must visit for anyone in the area. New signaling continues to appear in the Akron area as the last CPLs on the old B&O Main Line brave the assault. In political news, it will be interesting to see if the PTC horseshit is rolled back under the Trump administration. That is the exact type of costly, useless regulation that should be targeted for elimination, but it is so far off anyone's radar that it is unlikely that anything will be done, especially due to the bizzare support it has in congress. My theory is that the mandate is simply a ploy by the truck lobby to hobble rail transportation. Ah the humble distant signal. A fixed light or blade that warns the inattentive that they are approaching the civilizing influence of an interlocking. In most places the fixed distant is an unimportant footnote that occasionally serves as the last refuge of the semaphore. Now one of these days I'll probably do a whole post about the many types and rules relating to fixed distants, but today I am going to feature the fixed distant's much less common cousin...the dynamic distant. Sometimes a railroad is in the mood to inform trains approaching a absolute signal on otherwise unsignaled tracks about the condition of said signal Now I know some people might assume that if you want a train to approach an interlocking under signal control, just bang in an automatic block signal and Bob's your uncle. Well, they'd be right and this method remains a popular way for protecting interlocked junctions. Just stat your signaled a couple miles sooner with no need for any additional rules. 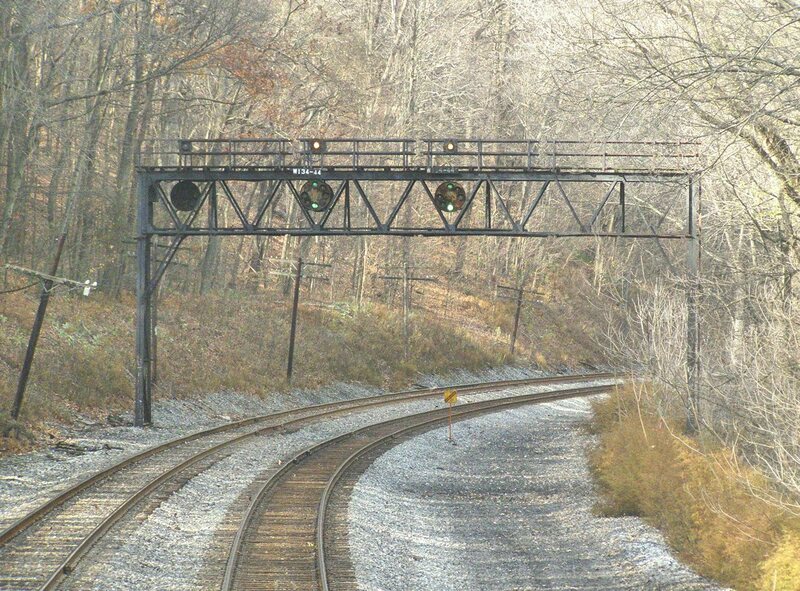 Of course the PRR had to be different and because they were one of the largest users of the Manual Block System, they incorporated that into their design of dynamic distant signals. Here we see a surviving example on the LIRR that supports a Clear, Approach Medium, Approach and "Caution" (upper head \ ). 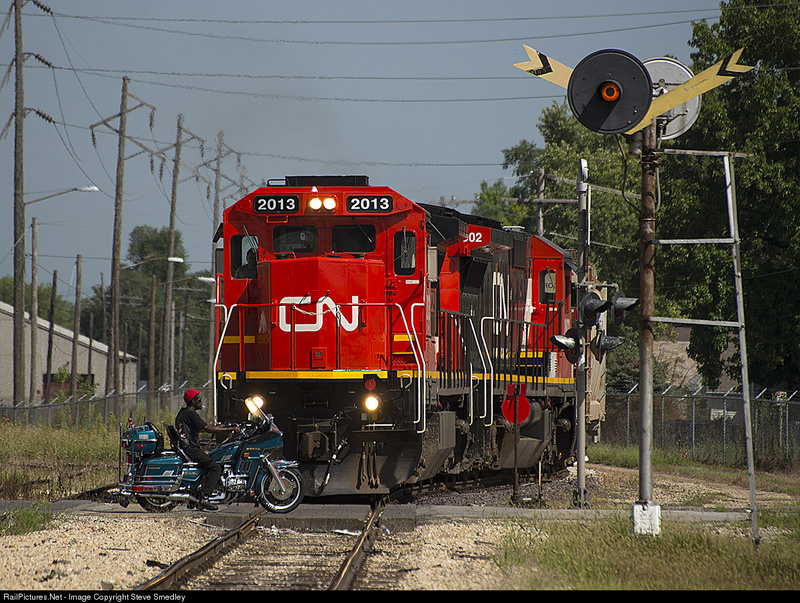 PRR's Caution signal is basically Manual Block Approach with the distinction being that trains also have to approach any switch protected by the signal prepared to stop. 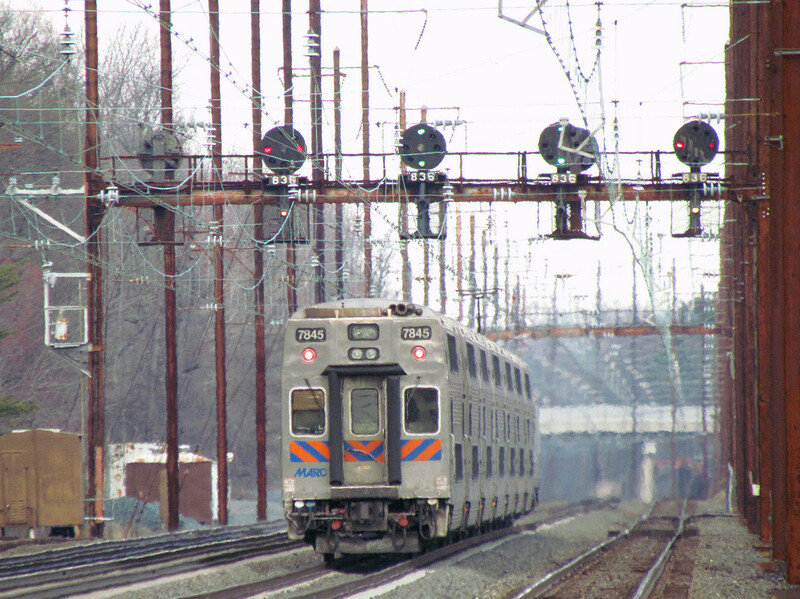 Because the Manual Block protection would negate the risk of another train on the line, there is no need for a Stop and Proceed aspect. However if a switch has been opened to break the track circuit then Caution provides the necessary warning. Of course in the NORAC era position lights were out and color lights were in. However vestiges of the old manual block system live on in the form of two aspect dynamic distants displaying Approach Clear and Approach Restricting (different than the one we discussed last week if you recall). 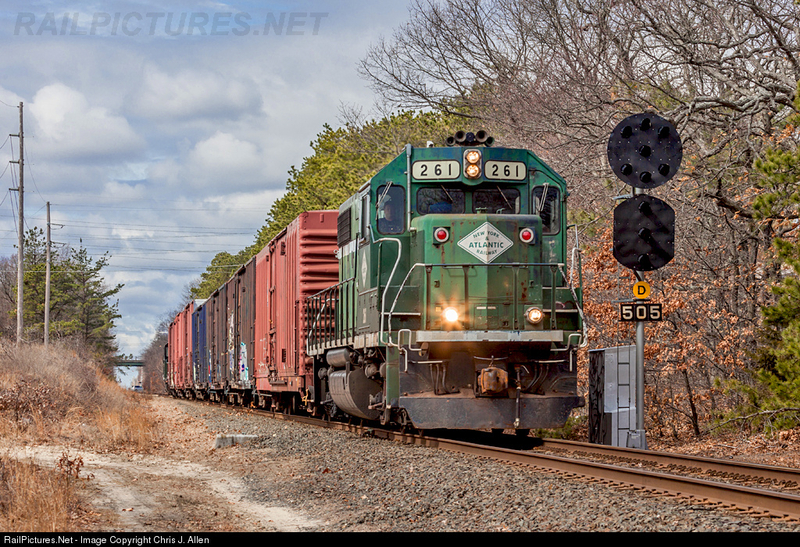 Southern New Jersey, home of the Pennsylvania-Reading Seashore Lines, is one place where Manual Block hung around into the 1980's and as a result it retained a few dynamic distants. They are of course the color light variety, having replaced former PRR position lights similar to the LIRR ones sometime in the 2000's. Unlike the PL's, they do not convey block information and signal state is transmitted via a microwave link instead of through track circuits. The older PRR era signals, seen in this signal diagram, did convey block information in the same manner as the LIRR signal. 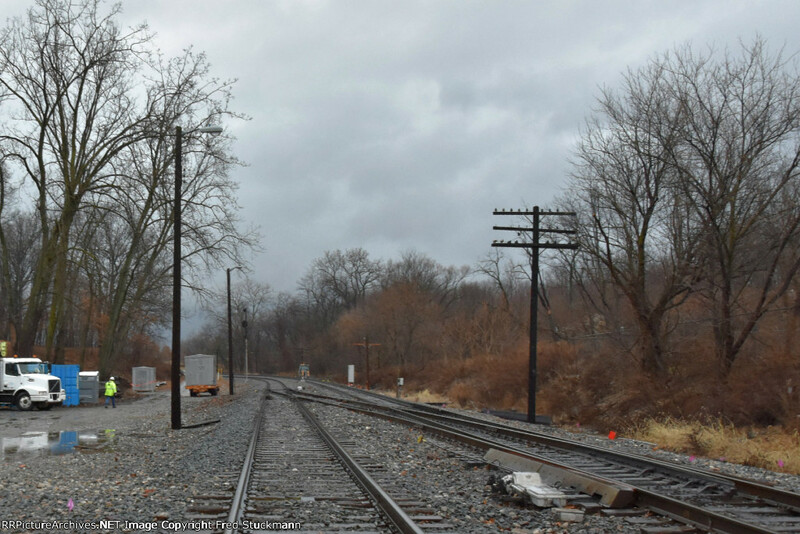 The one on the Penns Grove Secondary, seen above, is actually being replaced by a CTC project of all things so I guess what's old (the track circuit block) is new again. 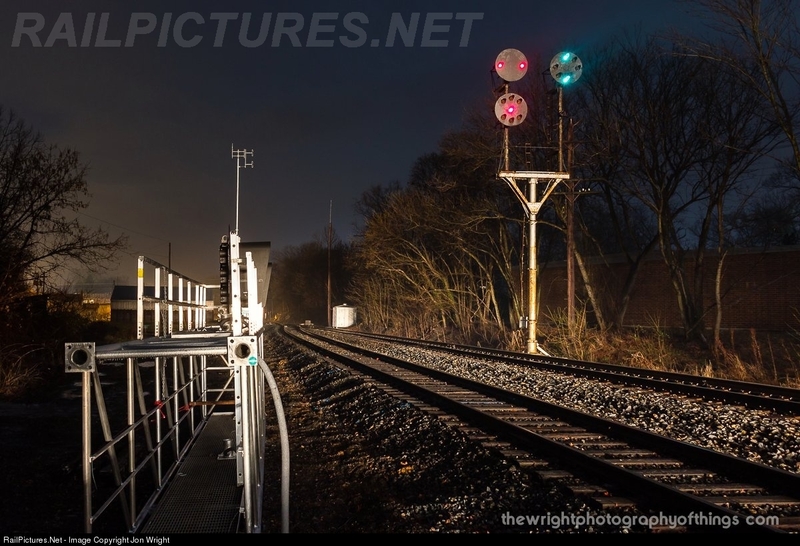 Anyway,this sequence of photos have been designed to lead you on a visual journey from the fixed and ABS distants of "other" railroads, to the PRR style of fully featured Manual Block distants and finally to their Conrail color light replacement. 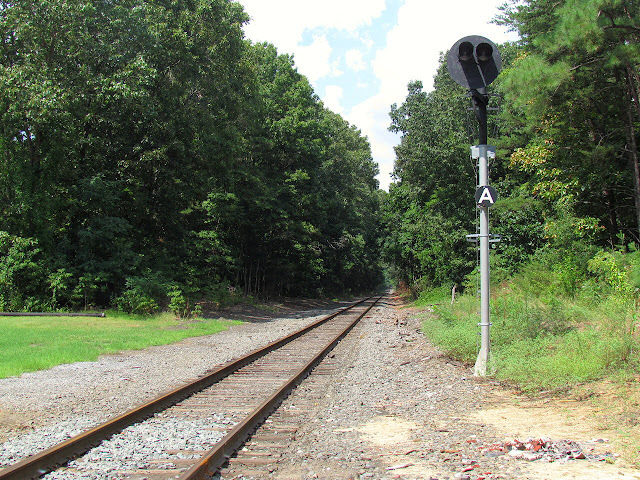 The point of the journey is to show how the PRR's Manual Block heritage has lived on into the modern era and if these photos don't convince you, compare the Conrail distants to this little example. As you can see, they are quite clearly a vestige of Manual Block in a CTC world.